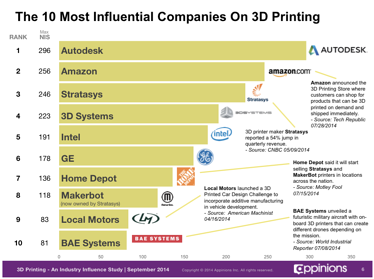 #1 - The History: There are several different technologies that power “3D printing” devices. Included amongst them are SLS, SLA, FDM, and SLM technologies. One of the first to come out was SLS technology. SLS (Selective Laser Sintering) was patented by Carl Deckard and Joe Beaman as part of a DARPA initiative in the 1980s. The two participated in a start-up company called DTM that was later acquired by 3D Systems, owner of a competing technology known as SLA. SLA (stereolithography), is a term coined and patented in 1986 by Chuck Hull. It was soon commercialized by Mr. Hull’s South Carolina based company, 3D Systems. Another technology, known as Fused Deposition Modeling (FDM), was introduced by Scott Cramp in 1988 and was patented in the United States in 1992. 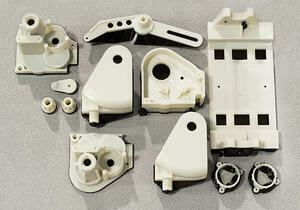 FDM was commercialized in the early 1990s by another one of today’s big 3D printing firms, Stratasys. 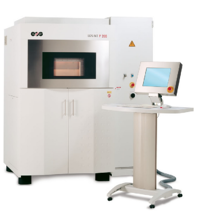 A fourth technology known as Selective Laser Melting was developed in Germany in the 1990s and was commercialized in the early 21st century. The growth of 3D printing in the last 25 years can be seen by Stratasys sales which picked up rapidly from six units in their first year to 1,582 units by the turn of the millennium only eight years later (106% annual YoY growth over that time). The availability of 3D printers at much cheaper prices in the last 15 years is an indicator that the trend is likely to continue. FDM: The FDM process typically involves the construction of a prototype part through the sequential deposition of small thermoplastic pools of liquid plastic (or other material). Small “dots” of hot plastic, for example, combine rapidly with the adjacent material they are placed upon (“printed on”). These dots join to become a single prototype part. The process involves interpretation of a Computer Aided Design software file (e.g. a SolidWorks 3D file) and is capable of producing complex, novel, and scalable parts in a matter of hours. SLA: Stereolithography works by successively layering a curable, photoreactive resin material layer upon layer and then curing (hardening) it via exposure to an ultraviolet laser. Similar to other 3D printing techniques, SLA relies on the interpretation of a CAD software file (in this case one that follows the STL file format). SLS/SLM: Selective Laser Sintering technology uses a laser as its power source and works by directing energy to sinter a powdered material (typically a metal powder) into solid form without heating it too much so as to liquify it. SLM (Selective Laser Melting), by contrast, heats the subject material into a liquid before allowing it to cure. SLS and SLM produce different properties in the final product as things such as the crystalline structure, hardness, stress tolerances, and ductility can be affected by the manner in which the part was produced (i.e. whether a powdered material becomes a solid structure through sintering or through melting). Related technologies include Direct Metal Laser Sintering (DMLS) and Electron Beam Melting (EBM). 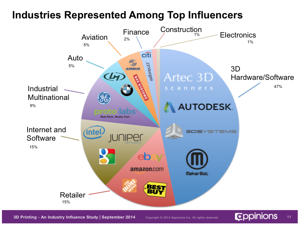 Read on to learn about the materials used in 3D printing. FDM: A variety of production grade plastics (e.g. ABS, PLA, Nylon) are used with Fused Deposition Modeling as well as non-plastic materials such as glass, silver, titanium, steel, and wax. Stratasys, a leader in thermoplastic polymer FDM technology, provides support for the following plastics in their 3D printers: ABSplus, ABSi, ABS-M30, ABS-M30i, ABS-ESD7, ASA, FDM Nylon 12, PC, PC-ABS, PC-ISO, PPSF/PPSU, ULTEM 9085, and ULTEM 1010. ** These are many of the same durable, stable plastics that are used in large scale injection molding manufacturing processes. SLA: Stereolithography uses photopolymer resins that change their properties (e.g. harden) based on exposure to light. 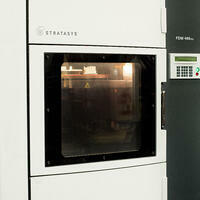 3D Systems, a leader in the SLA technology, supports a wide range of custom manufactured materials for its 3D printers. Examples include nylons, epoxy-like materials, rubber-like materials, and thermoplastics. 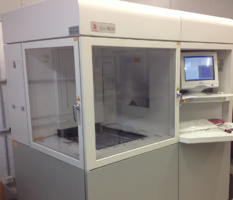 SLS/SLM: Selective Laser Sintering uses either single material or double component (two material) powders. Materials include metals such as steel or titanium, plastics such as polystyrene (PS), or a composite of different materials such as “green sand” mixture. Application For Manufacturing: FDM can be useful for small-scale manufacturing where injection molding may be more expensive or completely inaccessible due to small scale of the interested party. Many of the advances in 3D printers since inception have been in making them cheaper, and thus more accessible to “mom-and-pop” type users that may not be eligible for manufacturing processes at all otherwise. In aiming improvements at bringing down prices rather than in hugely advancing the technology, it seems that FDM technology producers are looking to target the market for decentralized, and possibly smaller-scale manufacturing applications. Different FDM strata include machines focused at small-scale “residential” designers (e.g. Mojo and uPrint series printers) as well as those used by larger mechanism design specialist firms like Creative Mechanisms (e.g. the Fortus series printers).